NAMM 2012 is almost over. I spent two days at NAMM in Anaheim. It is the most exciting and exhilarating trade show that I have ever been a part of. So here are some of my thoughts. First Wednesday night Max from http://MaxMorganDesigns.com started the completion of www.pianosd.com. I spoke with him last at 1:00 a.m. Wednesday night. Then 6:00 a.m. he was still working. BUT its almost completed. 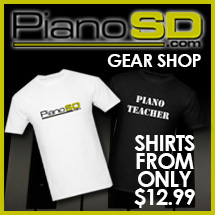 If you go to www.pianosd.com you will see the changes, I am VERY EXCITED. I saw so many friends and people that I have known for many years and made several new friends. It was very nice to renew old acquaintances. The piano selection was down this year for various reasons HOWEVER, Brodmann’s latest AS 275 was incredible. 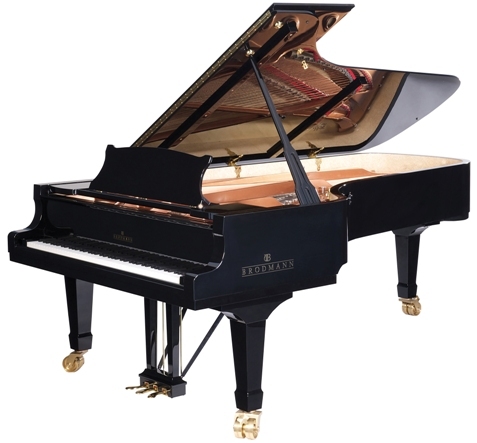 I mean, yes we do business with them but it was unbelievable how nice the piano sounded and the way it felt. 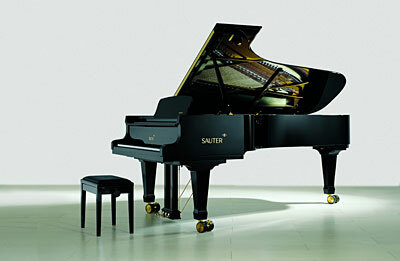 I had the opportunity to play on a Sauter Concert Grand too. As many of you know Sauter is one of my favorites and I was not disappointed at all. The sound was absolutely incredible and the look and feel of the piano as well as the incredible. There were some amazing piano teaching programs along with education materials, etc. There was every music instrument that you could think of and then some. As we begin to make our changes and improvements we will be doing some new things. I cant wait to show you some new things. I will give you more as we move around some.